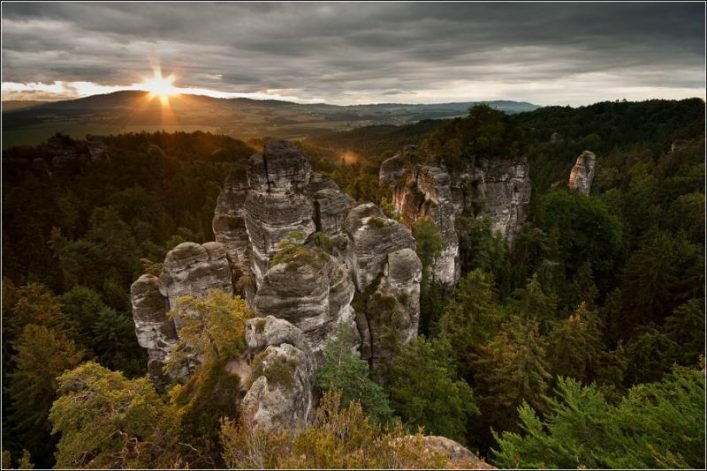 Welcome to the beautiful surroundings of the Bohemian Paradise. Our restaurant is situated in village Mírová pod Kozákovem in the Bohemian Paradise, about 90 km from Prague and 5 km from Turnov car, in the direction to Lomnice nad Popelkou. Parking places, for pension's guest is garageat disposal, other parking possibilities behind the restaurant on a barred parking place that belongs to the owner. charming surroundings offer visitors a rocky romantic city, impressive castles and chateaus. walking paths threaded with prospects and eye-catching tower offers a view into all corners of the Bohemian Paradise. Some examples you'll see in our photogallery . Accommodation in double rooms with extra bed, four-bed rooms and three-bed rooms. 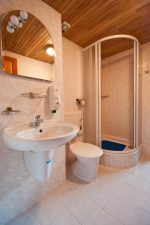 All rooms with WC and bathroom. There is a TV-set and SAT in the lounge. Possibility of TV and/or Sat connection in the rooms. A hall with 250 places can be used for social meetings and events. Our restaurant offers Czech cuisine, huntsmanś speciatities, occasionally pig feast. In the surroudings of it there is a ruin of medieval castle Rotštejn, a sandstone rock city Klokočí and the highest hill of the Bohemian Paradise, Kozákov, with 7444 m above see level (paragliding terrain ski-tow, finding place of precious stones, view-tower with a panoramatic view into the Bohemian Paradise, Giant Mountains and Jizera Mountains). Sights: chateau Hrubá skála, chateau Hrubý Rohozec, castle Valdštejn, castle Kost, ruin of castle Trosky, Pantheon Malá skála, spa resort Sedmihorky, view-tower Černá Studnice and others (all in area to 20km).